I tried to screen print on burlap. It doesn’t go on smooth due to the texture of the fabric. There are many methods to do this, trace by hand and paint in or cut out a stencil. I used a Yudu Personal Screen Printer to create the pillows I made. I think any method you choose would have similar results. 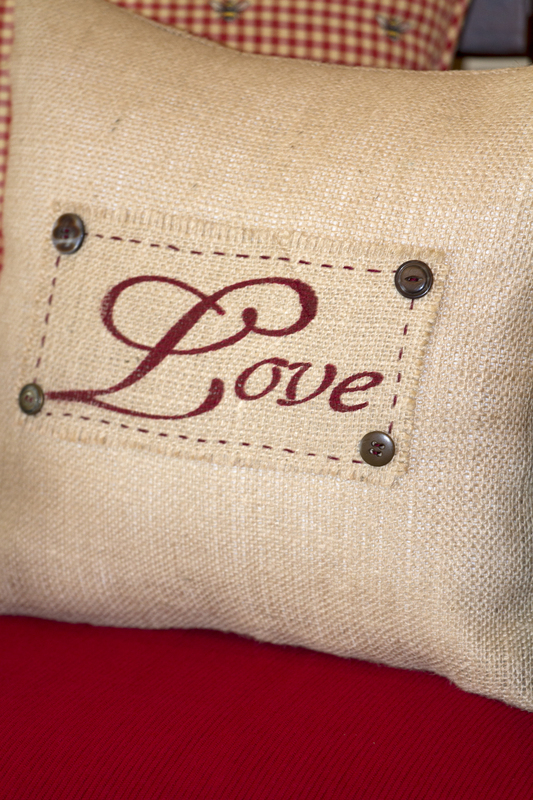 Make your loved one a Valentine pillow that can be left out all year. 23 Jan	This entry was published on January 23, 2014 at 9:36 pm. 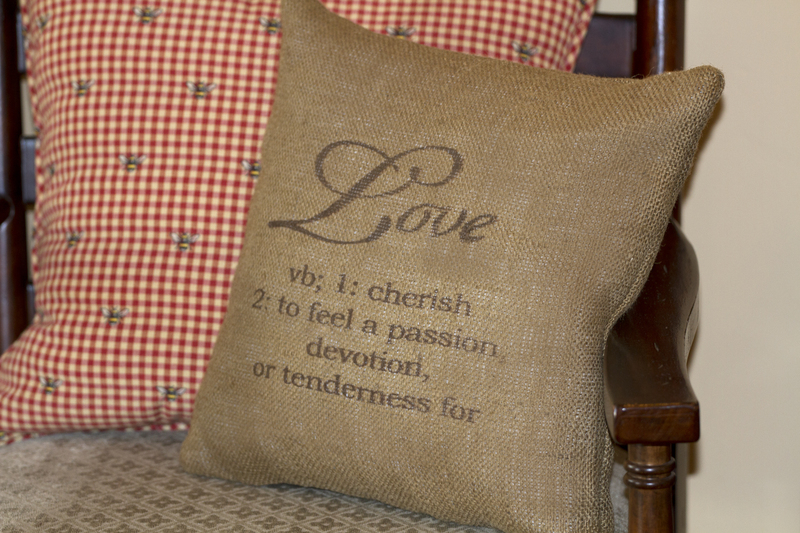 It’s filed under DIY, Holidays at the Cottage and tagged burlap, love, pillow, screen printing, sewing, Valentine's Day. Bookmark the permalink. Follow any comments here with the RSS feed for this post.